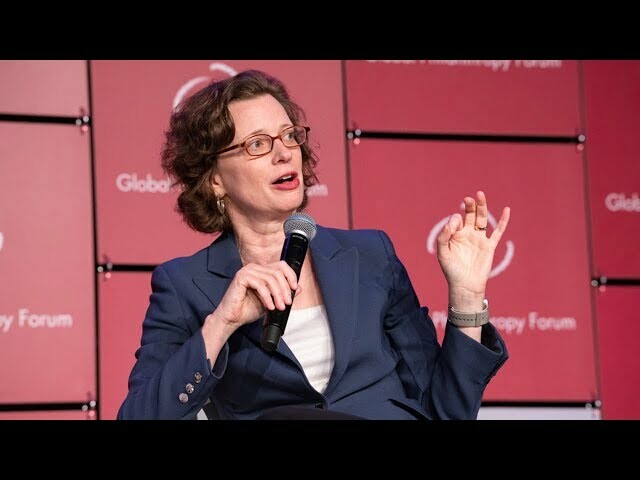 Michelle Nunn is president and CEO of CARE USA, a leading humanitarian organization that fights global poverty and provides lifesaving assistance in emergencies. In her first year at the helm of CARE, she deployed a bold strategic framework to guide and grow her hometown humanitarian organization’s impact to 200 million lives by 2020 through scale and innovation. Nunn has devoted her career to civic and public service as a social entrepreneur, a nonprofit CEO and a candidate for US Senate. She co-founded the volunteer-mobilization organization Hands On Atlanta, growing its volunteer engagement model from a single entity to a national network of more than 50 affiliates. She helped initiate and oversaw that group’s merger with Points of Light, and served as CEO from 2007 to 2013. Nunn served on President George W. Bush’s Council on Service and Civic Participation and as a co-convener of the ServiceNation Coalition. She has received numerous awards and recognitions, including The Fast Company Social Capitalist Award and honorary degrees from Oglethorpe University and Wesleyan College. She has been named to NonProfit Times’ list of “Power and Influence Top 50” seven times, Georgia Trend magazine’s list of “100 Most Influential Georgians,” and awarded the Anti-Defamation League’s 2005 Torch of Liberty. A Phi Beta Kappa graduate of the University of Virginia, Nunn majored in History with a minor in Religion. She received a Kellogg Fellowship to study faith and social justice. She earned her master’s degree in Public Administration from the Kennedy School of Government at Harvard University, where she received the prestigious Public Service Fellowship. Nunn lives in Atlanta with her husband, Ron Martin, and their two children, Vinson and Elizabeth.